A global agricultural company is poised to open its first biodiesel plant in Kansas, positioning Wichita as a competitive supplier in the biofuels market. 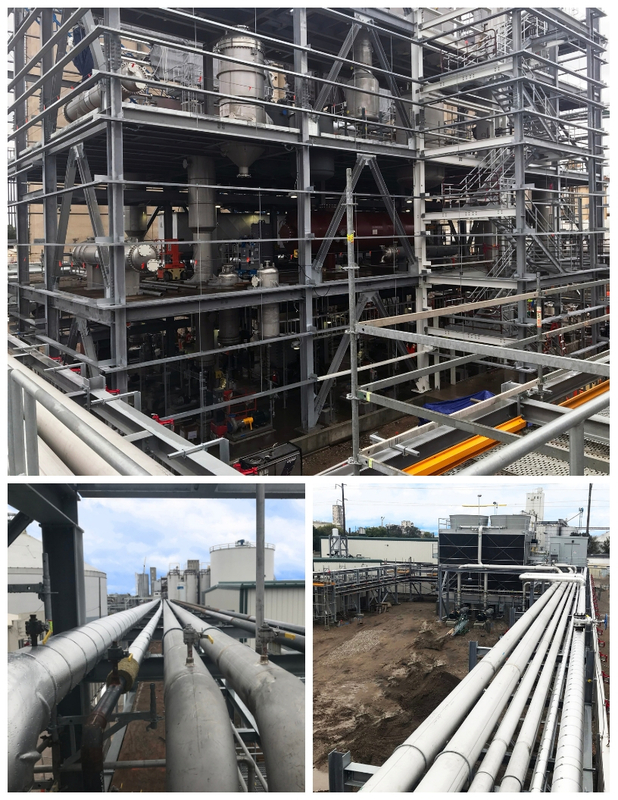 MKEC played a key role in this $90 million project by helping to expand and convert the company’s existing edible oil refinery just north of Old Town to biodiesel production. To bring our client’s 42,000-square-foot vision to life, we drew from multiple capabilities, including civil, structural, process engineering, mechanical and piping design, and construction support services. When it opens in early 2019, the Wichita plant is expected to produce 60 million gallons of biodiesel each year and will employ around 35 full-time workers. Biodiesel is a clean-burning diesel replacement that is made from a variety of renewable resources, including corn, soybeans and palm oil. It’s produced using a chemical process that splits the oil into two parts: the fuel and a byproduct that can be resold, often for use in the beauty industry. 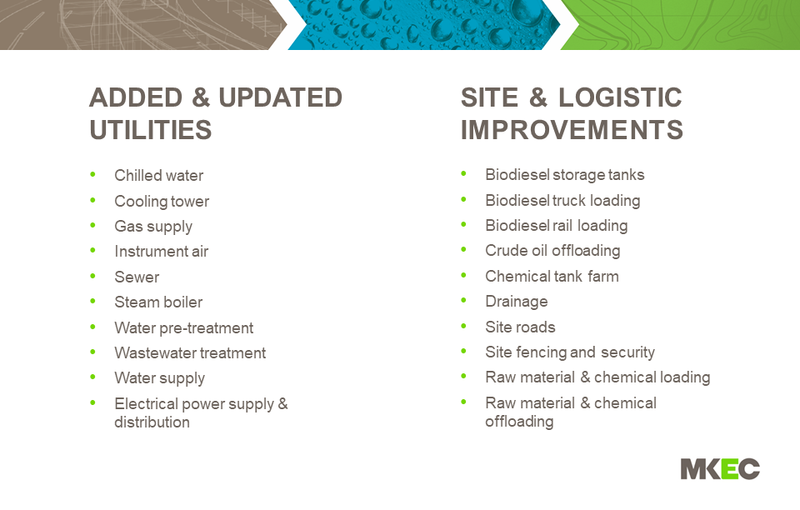 Our team was tasked with retrofitting the existing soybean oil refinery – eliminating bottlenecks to increase production and ensuring the refined oil meets specifications required by biodiesel process technology. One of the main challenges we overcame was bringing together other engineering firms’ 3D design models in a master model, incorporating and converting different software design packages into a single system that matched the client’s project coordinates. Our Architectural Engineering team worked to come up with layout options for the site that worked around an existing neighbor site. In addition to myriad site improvements, we designed the utility block – a mini water treatment plant within the facility – along with the HVAC and piping systems. According to the Environmental Protection Agency, biofuels can reduce greenhouse gas emissions by as much as 86 percent. We’re excited that our engineering solutions are helping to pave the way for a cleaner tomorrow!